Who were you supporting and who do you think deserved to win? This has been one controversial show down and decisions are split but have a read of this great article on boxing in Fightland Vice. Two distinct camps have formed in the day since “The Battle of Brisbane,” where boxing legend Manny Pacquiao lost his WBO welterweight title and a highly-disputed unanimous decision to Australia’s Jeff Horn. Many who watched and listened to ESPN’s broadcast believe they saw a robbery, and there is plenty to support that position. Statistically, the 38-year-old Pacquiao dominated Horn, landing 182 punches—including 123 power punches—to Horn’s 92 overall, according to CompuBox. Furthermore, the native Australian connected on only 15% of his punches during the 12-round bout, and while the crowd of 51,052 certainly responded to Horn’s better moments, even they could sense the end was coming in the ninth round. Not only was Horn’s right eye bloody and swollen, but afterwards referee Mark Nelson warned the former Olympian’s corner that the fight would be stopped unless things turned around for Horn in the 10th. But things did turn around for Horn, who survived the final three rounds, denying Pacquiao his first knockout since 2009. Just how much they turned around will remain a matter of debate. Not only did two judges score the fight 115-113 in Horn’s favor, but Waleska Roldan had the Australian up 117-111—an utterly baffling assessment of what many thought was a win for Pacquiao. Boxer and ESPN commentator Timothy Bradley Jr. predicted a close decision, but long-time trainer-turned analyst Teddy Atlas had Pacquiao up 116-111, and was incredulous at the decision afterwards. Pacquiao’s long-time trainer Freddie Roach initially refrained from criticizing the judges too harshly. Later, when speaking with Sydney, Australia’s Daily Telegraph, Roach began to question the scoring a bit more harshly. “That was hard, sometimes I think people need to be investigated,” said Roach, who had previously predicted a knockout for Pacquiao against the relatively unknown Horn. And then there was the outpouring of criticism from boxing royalty on social media. But even though the criticism of decision has been louder, there is another perspective, and it’s shared by those who relied only on their eyes. Without the sound, indicators like the two lacerations along Pacquiao’s hairline stood out a bit more, although each were caused by accidental head butts in the sixth and seventh rounds. (Pacquiao received 17 stitches after the fight). And while Pacquiao was undeniably busier than Horn and had the fight’s most-dominant round in the ninth, each of the other 11 frames were decidedly closer. It’s not inconceivable that two judges could score the fight 115-113 in Horn’s favor. Pacquiao has a rematch clause and he indicated that he’ll take that option. Regardless, even if you thought Pacquiao won in Brisbane, the demand to see the former Fighter of the Decade (2001-2010) was more or less extinguished on Saturday. After a dozen years as a pay-per-view mainstay, Pacquiao’s power is fading quickly. He’s still fast, but it’s not enough anymore to overcome his 5-foot-5 frame. There was a time when Pacquiao considered fighting unified junior welterweight champion Terence Crawford—who, like Pac-Man, is promoted by Bob Arum’s Top Rank—but after “The Battle of Brisbane,” who would waste their time, or even pay for such a mismatch? And even the idea of Pacquiao staying at welterweight, where younger champions like Keith Thurman (WBA, WBC) and Errol Spence Jr. (IBF) currently reign, no longer seems compelling. The silver lining for fight fans was that they did not have to pay to see Pacquiao fight like a 38-year old who has been in the sport for 22 years. 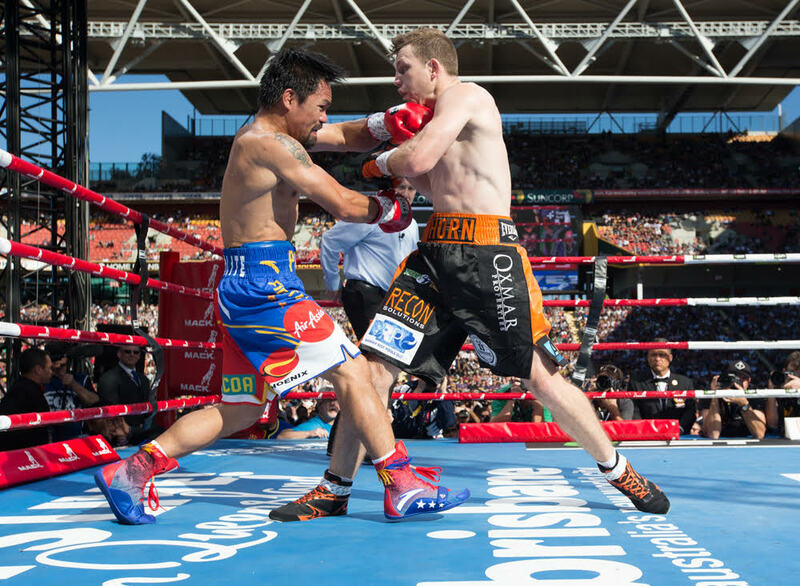 ESPN registered a 1.8 Nielsen rating, making “The Battle of Brisbane” the most-watched cable fight in over a decade. And the “Worldwide Leader” isn’t done. Crawford hopes to unify the 140-pound division against fellow junior welterweight champion Julius Indongo on Aug. 19 after Vasyl Lomachenko, another Top Rank fighter, puts his WBO junior lightweight title on the line against Miguel Marriage on Aug. 5. So even if Pacquiao-Horn left some fight fans disappointed, the sport continues to be more accessible in 2017. For Pacquiao, though, it’s not a question of fighting on pay-per-view or basic cable. Audiences witnessed the sad truth that one of boxing’s greatest champions simply no longer has it in him to compete at the highest level. Fans who were already disappointed by his dreadfully boring 2015 loss to Floyd Mayweather Jr. certainly wouldn’t pay for any potential rematch, and even if he returns to ESPN, it’s hard to imagine an opponent fans would be excited to see him fight. 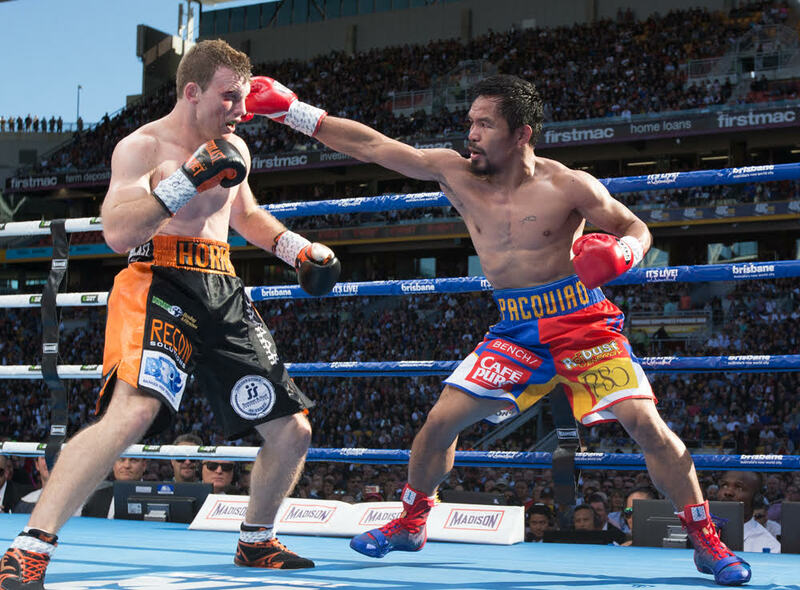 Yes, Pacquiao may have been robbed in Brisbane, but the real story is that he’s finished. It’s time for him to focus on his side job as a Philippine senator or maybe continue his charity work, but boxing no longer seems like a good idea.